Have been ordering the same size shirts for years. For some reason CT changed the cuff size, which is now too loose and ill fitting. Disappointing. Response from Charles Tyrwhitt: I am sorry to hear that your recent purchase was not quite as expected. This is certainly most unusual, as we strive for consistency with all of our products. I can see from your account however that your last purchase with us seems to be from 2016, so it is quite possible that we have updated our sizing and fits slightly. 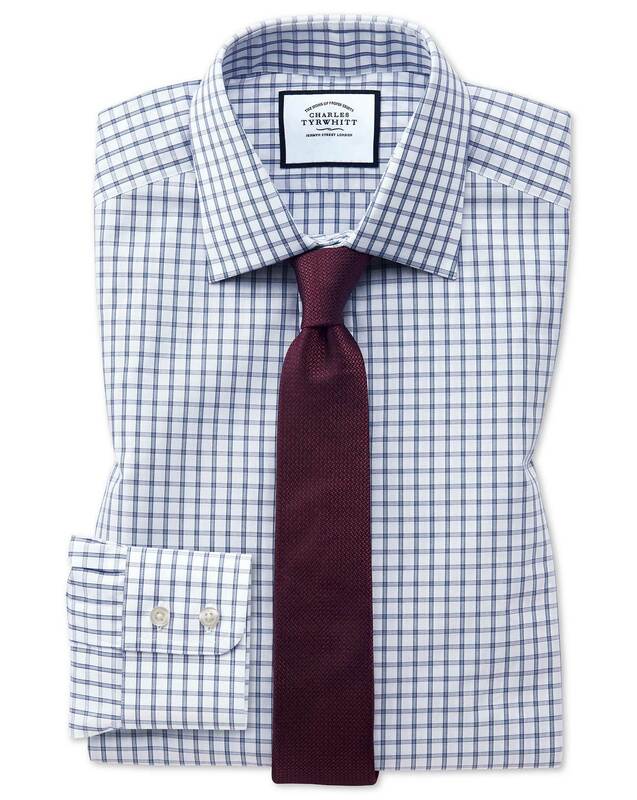 Reducing the collar size of your shirts will reduce the measurements slightly throughout the shirts, so this may be a possible solution to consider. A quality shirt. Excellent material, and a solid fit.